In 1972, the late Fay Gale (AO) published a characteristically self-styled book titled Urban Aborigines. It launched a richly diverse career that delivered an exceptional legacy to the academic discipline of geography, Aboriginal justice, university administration, and women’s professional advancement. This lecture honours Fay’s intellectual contribution to one of these fields. It pursues her critical interest in the clash of indigenous/settler cultures in Australia through a fresh account of the notorious head-measuring practices of 19th century racial craniometry. Probing the Western premise that ‘mind’ is the assured marker of human distinction from nature, the lecture asks: are there fresh prospects for reconciling settler and indigenous values on this continent if the conceit of this distinction can be overcome? This fundamental question for the Anthropocene is provoked from a ‘southern’ perspective in the sprit of the insistently geographic project that was Urban Aborigines. Professor Kay Anderson is a leading, internationally recognised scholar in the fields of cultural geography and race historiography. Her most recent book, Race and the crisis of humanism (Routledge 2007) won the 2008 NSW Premier’s Literary Award for Critical Writing and her award-winning Vancouver’s Chinatown: Racial discourse in Canada 1875-1980 (McGill-Queens UP 1991) is now in its 5th edition. She is co-editor of Environment: Critical essays in human geography (Ashgate 2008) and the Handbook of cultural geography (Sage 2002). Professor Anderson is an Elected Academician of the Academy of the Social Sciences (UK), Elected Fellow of the Academy of the Social Sciences in Australia, and in 2009 became a Fellow of the Institute of Australian Geographers. 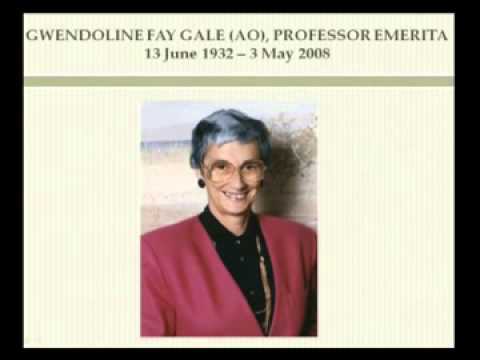 Her Fay Gale obituary can be found in Geographical Research 46(4) 2008: 468-70.